The Eleanor Storm caused damage to the Panoramic Mont-Blanc. The carrier cable was cut by 250 kilometers/km winds. 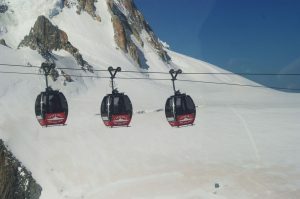 The gondola carrier connects the Aiguille du Midi in Chamonix to Pointe Helbronner in Italy. The incident was reported only this Sunday, January 7, 2017. It follows after another incident which happened in September 2016, when an important rescue operation was deployed to rescue users stuck after a technical incident. With a thickness of 30 millimeters, the cable is carrying the Panoramic Mont-Blanc gondola over the ‘Vallée Blanche’, allowing the connection between the Aiguille du Midi and the Italian Pointe Helbronner . It was cut in two places, Friday, January 5. This shear occurred on the Helbronner side, at the banana level of the suspended pylon. 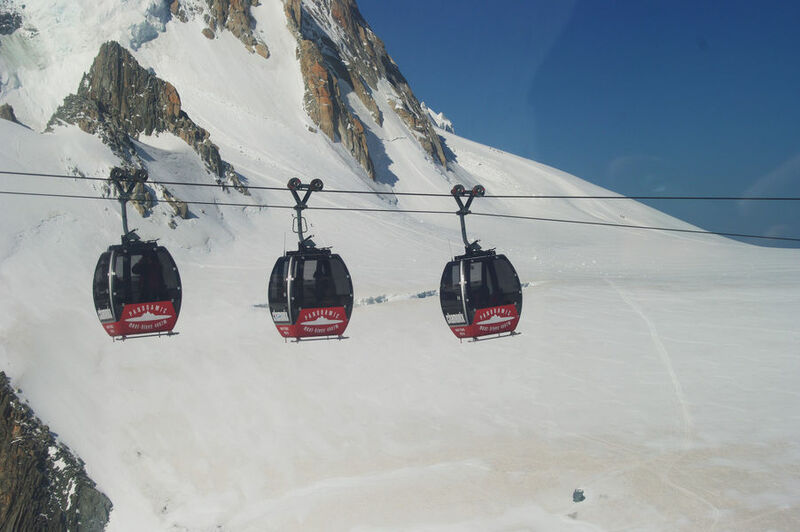 The Panoramic Mont Blanc gondola works only in summer due to the harsh operating environment. In addition to the difficult safety problems caused by its operation at such high elevation this cable way installation is a real wart in this grandiose surrounding. Mountain Wilderness has been advocating since a very long time to simply remove it.